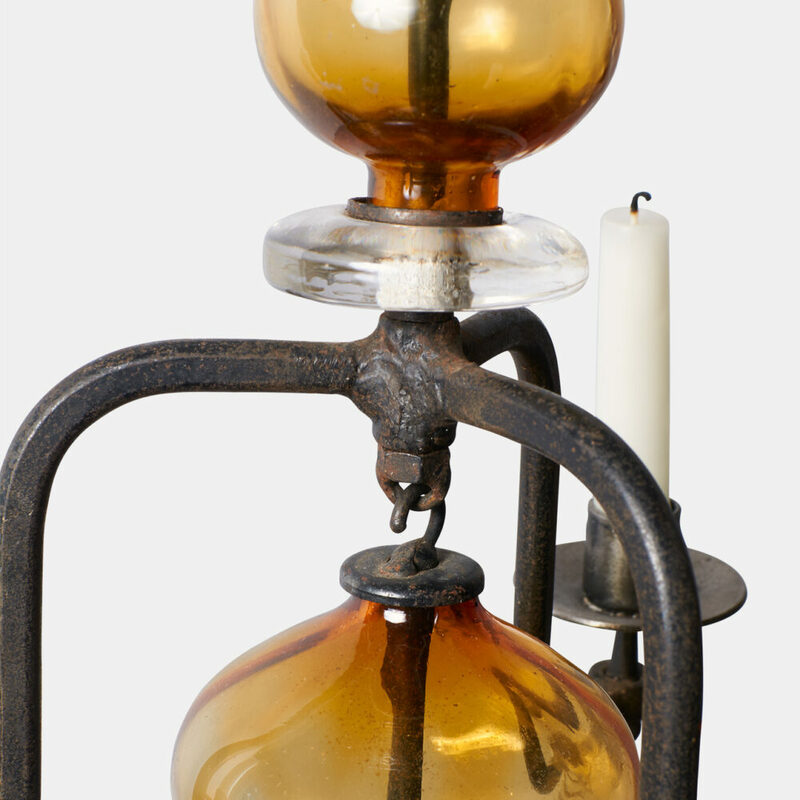 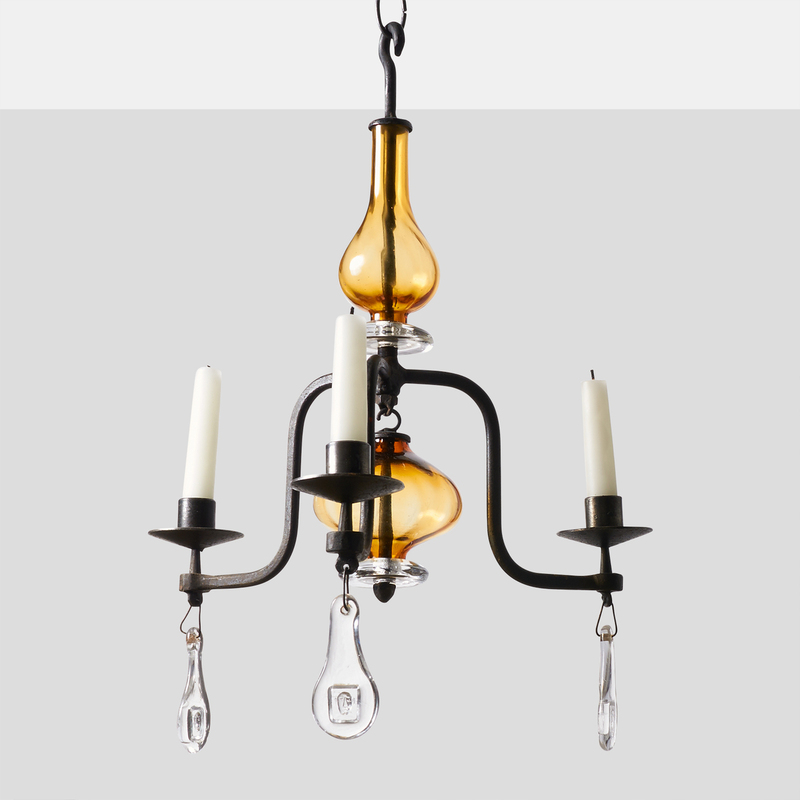 An iron candelabra by Eric Hoglund for Boda Glassworks in gold and clear glass with Iron forgings by Boda. 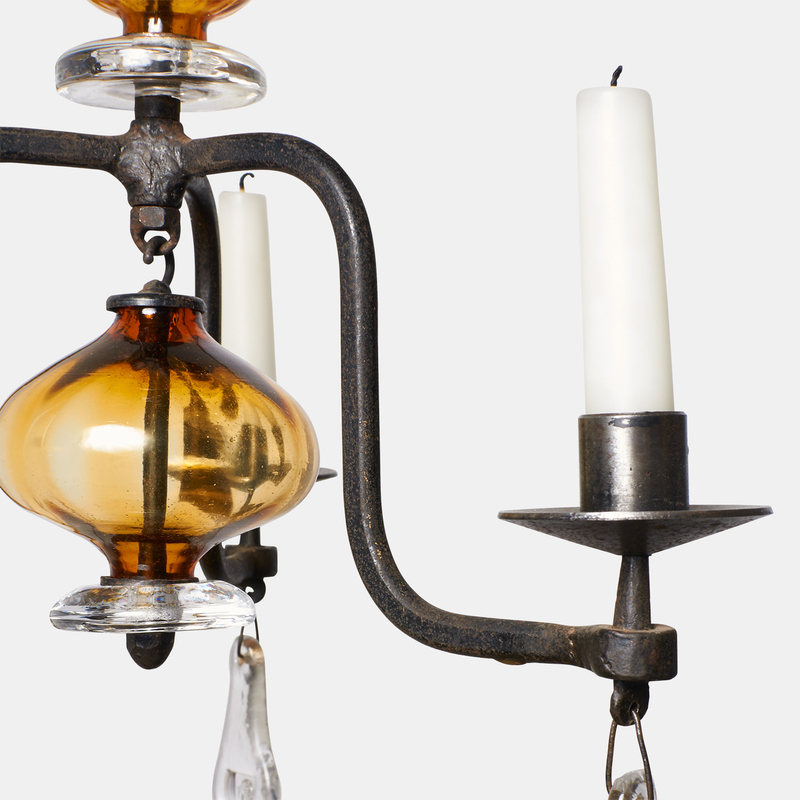 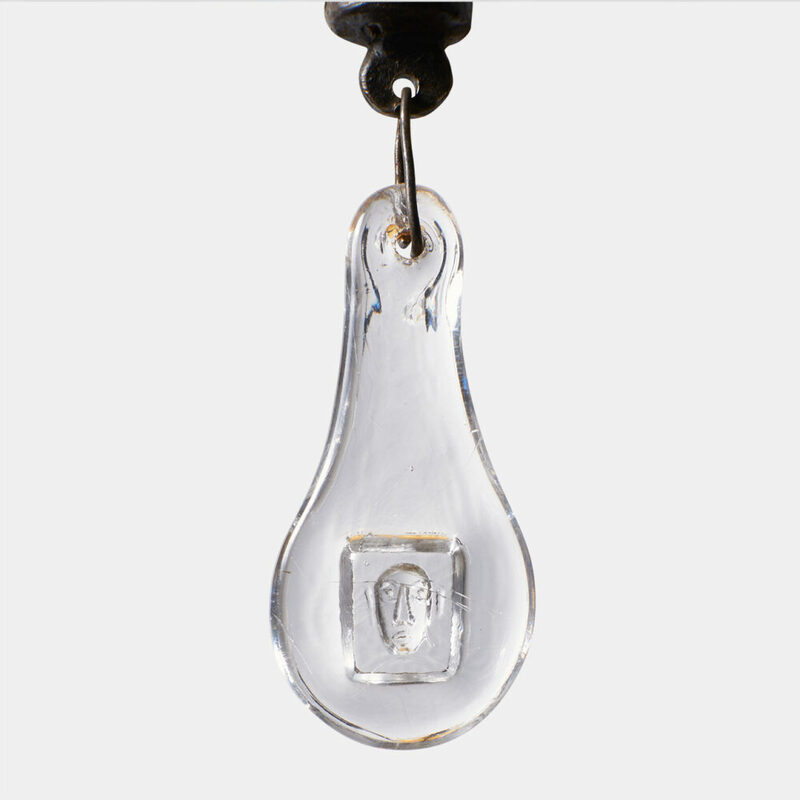 Distinctive faces in each glass drop with three arms for candles. 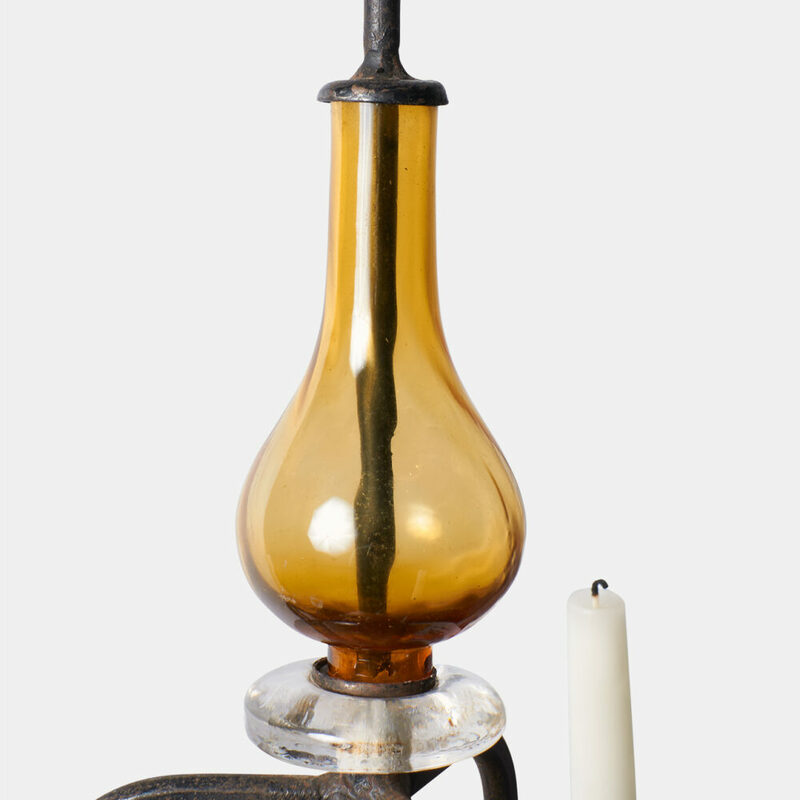 Erik Hoglund for Kosta Boda.